How could he let this happen? He was so careful, what could he have possibly missed? 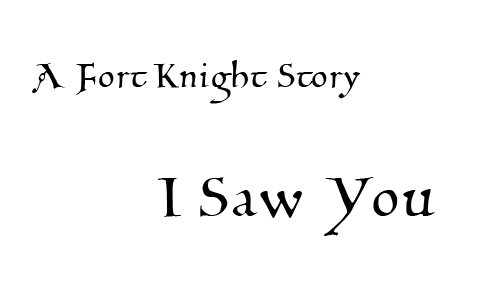 ‘I saw you.’ Those 3 words ring in his head. The dial tone pounds echoes as the mystery caller hangs up. He drops the phone. It lurches uselessly, hanging in the air by its bungie cord connection. He can still hear it. The dial tone is still roaring through the house, deafening him. He can’t concentrate like this. He lifts the phone and roughly slams it against the base unit. Bakelite cracks and the table shudders. He stills hears that damned tone. He starts pacing back and forth across the living room. Skirting the sofas, he switches off the new plasma and plunges the room into dusklight. Could he have meant something else? He wonders to himself how could they possibly know? He was so sure. His mind flashes back. The living room fades as he returns to that day, 2 months ago, in his office. Three steel desks to his left. The round meeting table across the way, and a printer behind him. No-one is around. No-one is watching. Now’s his chance. He grabs the misplaced document folder from the IT manager’s chair. She’s out at lunch, it’ll be back before she returns. He marches in quickstep to Julie’s chair. She’s sick today, but he overheard Todd say that he’d signed her in at her request; she can’t afford any more leave. Card by card, he travels through the office accounts. Thousand by thousand, and then by the million, savings, grants, and allowances are transferred. In the space of a lunchbreak, this little company that grew too fast has been cleaned of almost every penny. He rushes back to the manager’s desk and leaves the folder there, leaving a single discarded card under Julie’s desk. He takes off his gloves, and heads back to work. He uses the office CCTV control system to move the blindspots back to their usual positions and checks that, as he planned, he isn’t in a single shot. By what the cameras picked up, he hasn’t moved from his desk. Did someone see him? Did he accidentally touch something he shouldn’t while bare-handed? His reverie is broken by the phone ringing once again. Sweat pours from his forehead as he approaches the device. With as much courage as he can muster he overcomes his apprehension and lifts the phone. £10,000? That’s it? He expected so much worse! He chuckles, and spends the afternoon buying and filling a suitcase as requested. At the time stated, he travels to the park. He sees a small lunch trolley, out of place in the small field with a pond. There’s at least 30 briefcases all stacked neatly on the trolley. He places his atop the pile, and walks away, praying this is the end of it. Somewhere across town, an automatic dialler increments by one and calls another number.